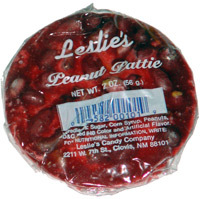 Taste test: This round, pinkish pattie was mostly sugar with peanuts embedded inside. It was quite solid, as it was very difficult to break off pieces with my hands. It was not easy to bite into, but biting was easier than I thought it would be after all the trouble I had trying to break it into pieces. 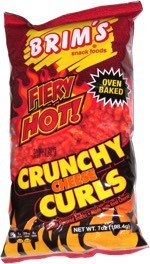 It felt kind of like peanut brittle, but a little harder, because of the thickness. The taste was pretty good, sweet and peanutty, but not overly sugary. Smell test: Very mild sugary smell.